An all too brief chilling female vocal led piano, is halted with a crashing distorted beat on the opening track ‘Our Souls’. However, once the crashing layers of Powernoise fuse together, this is a long forgotten interlude; as waves of orchestration take precedence upon a rolling mass of Industrial beats. Rather than the squelching mess I anticipated, Ecstasphere carve up their rhythmic assault in a polished, clinical fashion. As a genre, there has been an over saturation of this style in recent years that’s I have slowly become disenchanted with; luckily, there is enough utilisation of other elements at play within ‘Feed Your Head’, to halter this album fading into obscurity. Not withstanding however, is the ability of this act to punish the ears where necessary; and on more than one occasion focus is fixed squarely on battering percussion and distorted beat. 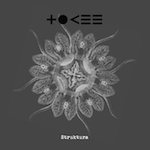 Harmony is never too far away though and when things get brutal, there is just enough experimentalism at play to keep visceral moments tethered down, allowing for emphatic synth work to take precedence once again. Overall, ‘Feed Your Head’ is an enjoyable release that provided more than I anticipated; and that alone deserves a tip of the hat. With a little more focus on production values, their next output could fair even better. Wired electronics come to life, as scattered sparks and flutter between beats and pads, representing the landscape that is the opener, ‘Dark Fields’; and a heartbeat carries the birth of this new machine forward into the reverberated landscape of ‘Silent Hills’. 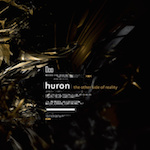 Huron provide tracks that split down the middle into two halves, with a complex framework of glitch ridden sounds; that provide an abrasive bedrock for a sea of chamber dripping piano and pads, to drag themselves across, occasionally stumbling through the cracks. As a prime example of how to precisely piece together shards of scattered IDM, Huron has clearly nailed this down to clinical perfection; every note has its place, every scrape has a purpose, every beat the appropriate level of thump. However, with trying to achieve something so undeniably spot on, there is a downside to this album (albeit a very small misgiving). ‘The Other Side of Reality’ is so on the money, there is the tendency to lose the necessary humanity that plucks on the heart strings and sets the hairs on the back of your neck on end. With every note brutally scrubbed with an aural antiseptic, the only downside is that there is a tendency somewhat to become detached from the music and watch it flow from afar; as if viewed on a giant screen, rather than taking part. As I said though, this is an almost insignificant grievance on what is overall an excellent example of programming wonder. Dripping with atmosphere, it’s clear that Steffen Schröder takes his work seriously; and regardless of my minor quibbles there is much on this latest album to marvel at. Influences are many and it won’t take much for any self-respecting IDM aficionado to work these out and applaud Huron for matching his peers’ technicality and class. This Swiss/Swedish combo lay their cards on the table from the moment you hit play; organic elements open up the proceedings with ‘1st Movement’ that gradually build with gentle harmonies and scrapings of sound that are backed up with warm pads; it’s a promising start to the album that really sets the listener on a journey with the drifting and aptly titled ‘Spacefeel’ taking over the steering wheel to great effect. A great deal of effort is evident throughout this release with the translation of atmospherics, positioned with great care and attention to detail. 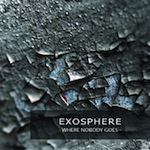 Occasionally Exosphere purely toy with ambience, quite often they purely rely on driven IDM; where they excel the most is when these two forces come together, more often than not on the same track, ‘Tears of an Unknown World’ and ‘T-Y’ being a prime example of this. ‘Where Nobody Goes’ is a thoroughly solid release from start to finish, it won’t set the world alight with genius, but is more than competent in its execution and the occasional moments of beauty that filter through are more than worthy of your hard earned cash alone. 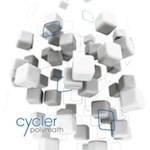 Given that the idea behind this release is to venture into dipping their toes into different sound perspectives, it is perhaps quite apt that Cycler have chosen to call their album ‘Polymath’. Cycler, have a very clean and precise pronunciation of sound varying from pop driven blips and beats flirting with IDM and the odd flash of ambient soundtrack like pads that fill out the gentle harmonies to great effect, such as the blissful ‘Dream Recorder Tape’. If truth-be-told, the perspective does not hold up much for me as ‘Polymath’ is a linear electronic album, albeit a solid one at that. The trouble with clearly stating your album has a varying perspective of sound is that the concept falls short when there is little evidence to the claim; the ideas may vary but the sounds do not across the entirety of this release. However what Cyclic have done is produce a damn solid electronic album pure and simple, with some genuine moments of excellence (‘Alien Crystal Desert’ and ‘Narcosis’), with a production that reeks of clarity and a good starting block to pave way for future releases. My only real downside to this release is how it approaches human emotion as it mirrors the concept of feelings rather than conveys them, and with a little more attention to how these plastic electronic sounds translate to the listener, they could be onto a winner.